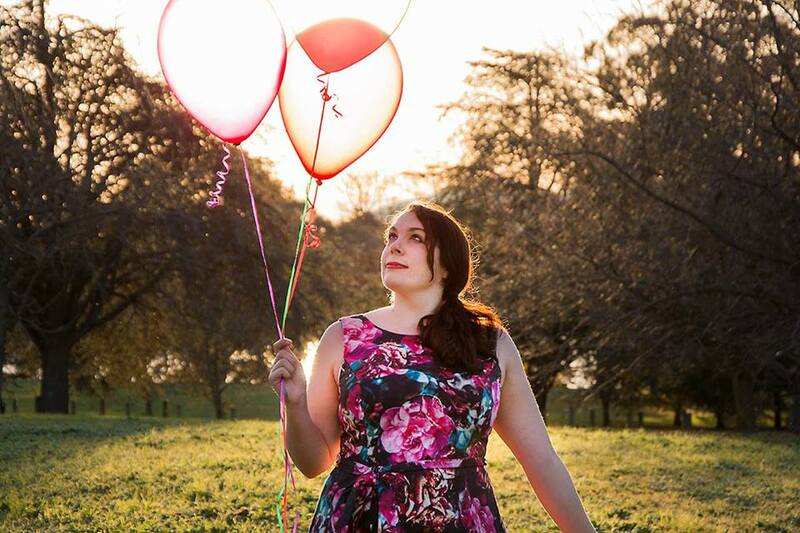 A Wonderfully Rustic Wildflower Wedding! Jack and Erin’s wedding had a wonderful wildflower influence from the very start with the delicately designed invitation sent out to us before the wedding. Firmly set in the roots that had helped to shape their love and their experiences, the wildflower influence was a strong presence for this boutique Australian wedding. 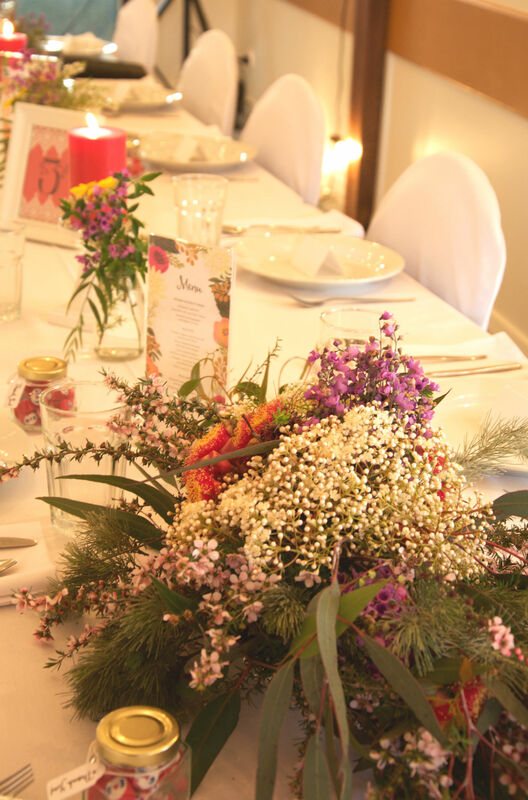 This sweeping theme was carried through by the amazing ceremony and reception venues and through the array of wildflowers which were hand-picked from the gardens of Bridgetown family members. The aisle for the bride to walk down (amongst rolling green lawns and the most wonderfully put together gardens) were sanctioned off by glass jars filled with wild lavender and dusty Australian fauna hanging from shepherd hooks and adding to the elegance and natural decorations supplied by the venue itself. After the bride and groom shared their love in front of a display of hanging white material, guests gathered in a nearby garden and were treated to champagne under rows of beautiful handmade bunting flags (perfectly made by the bride of course!) 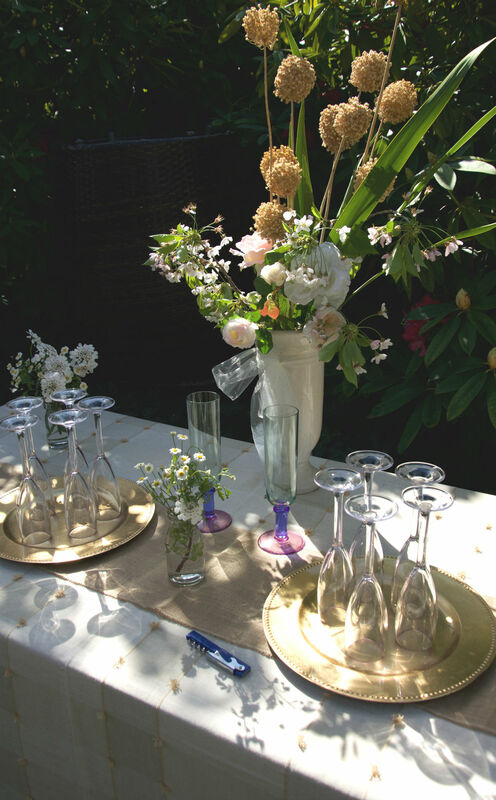 Nestled amongst the lush greenery was a simple table set up with a delicate crème and gold tablecloth, gold charger plates, white tin ice buckets with champagne and homemade beers (made by the equally crafty groom!) 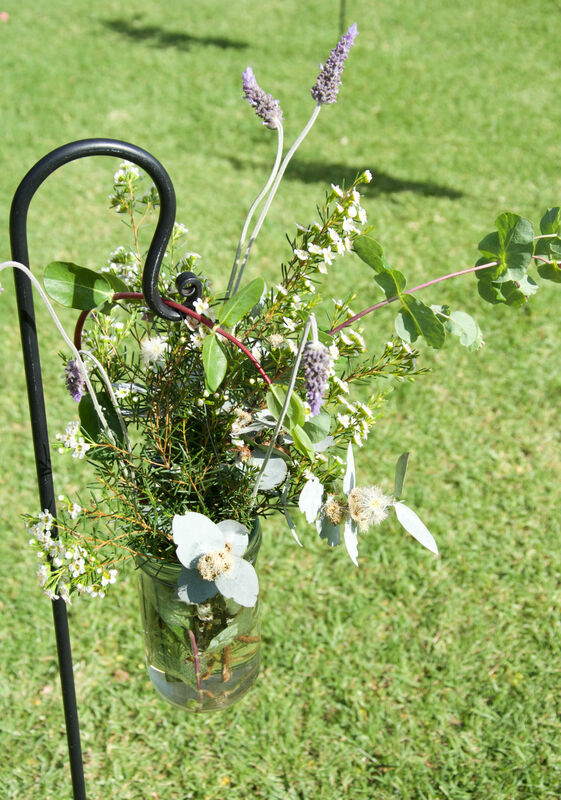 and bouquets of wildflowers that matched those hung from the shepherd hooks at the ceremony area. 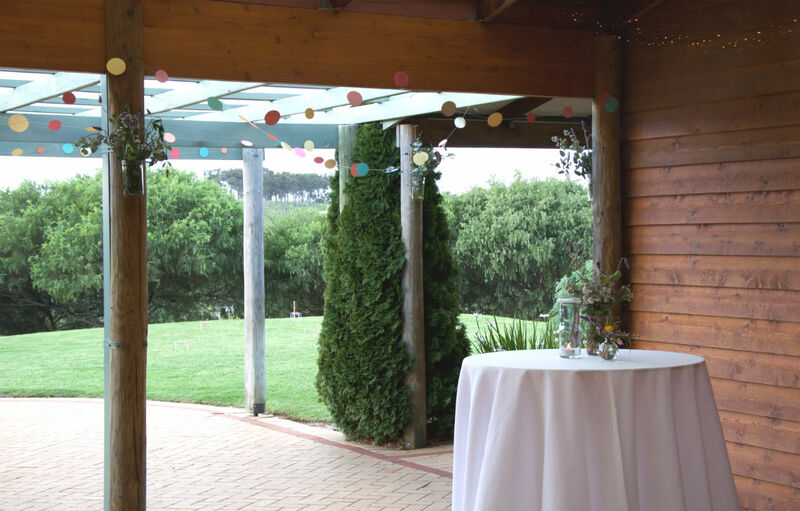 The guests were then taken to the Bridgetown Function Centre for the reception, where they immersed themselves in the rustic style decorations and played lawn games such as Bocce Ball and croquet. The reception hall was truly a work of décor beauty with garlands of twinkling fairy lights, bunting and material drapes, and hand-sewn dot garlands that shone in wildflower colours that matched those drawn on the invitation. 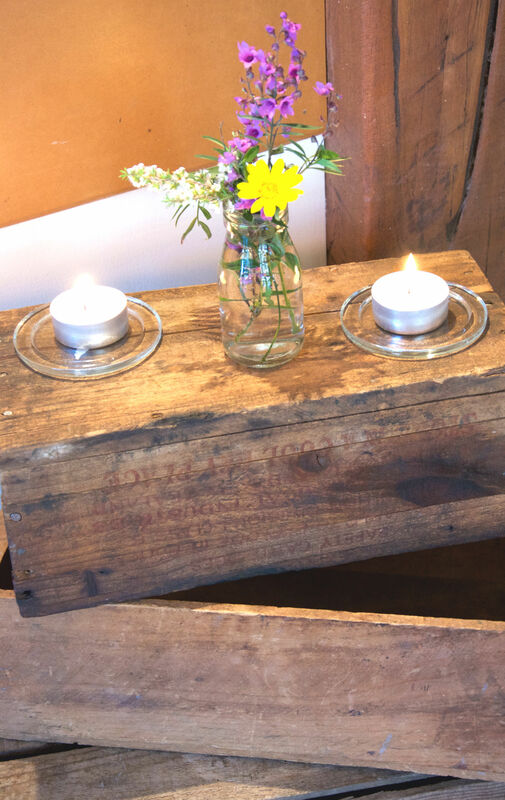 Scattered around the room was a series of cocktail rounds serving homemade ice tea and home-brewed beer, antipasta platters and a few other rustic elements to add to the charming country feel, including wooden boxes and scattered tea light candles and jars of flowers. The four long rectangle tables that housed the guests during dinner simply lit up with long red wildflower bouquets, blazing red pillar candles and wedding stationary in the form of menu cards in holders, name tags and table numbers in white baroque frames that matched the original invitations. Red was a strong reoccurring theme throughout the reception, with glittering “E” and “J” letters adorning the dessert table that was actually an antique chest of drawers and matching glass mirror that had been rustically painted white. 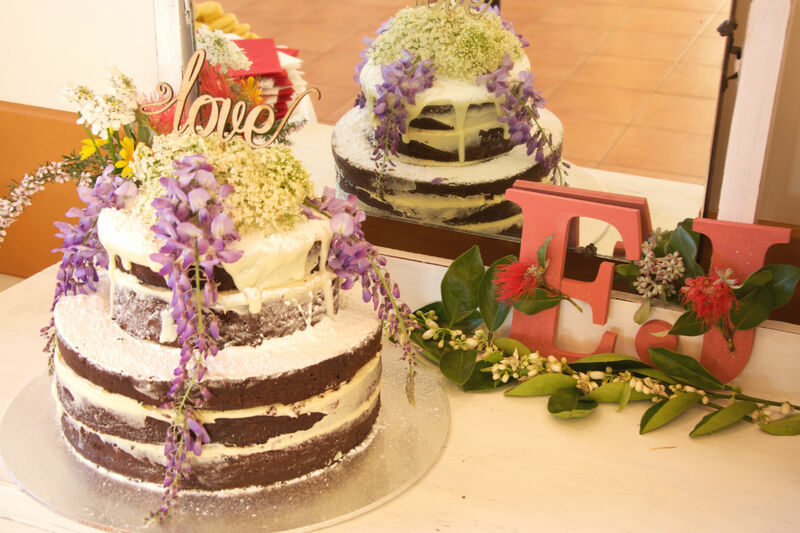 Here, the delicious and charmingly rustic red-velvet naked cake took centre stage amongst the handmade treats in the form of Snickerdoodles and Melting Moment cookies. As most weddings have nowadays, there was a photo booth set up in the corner complete with wacky costumes and a chance to glue the fun frames into a guest book for the bride and groom to keep. 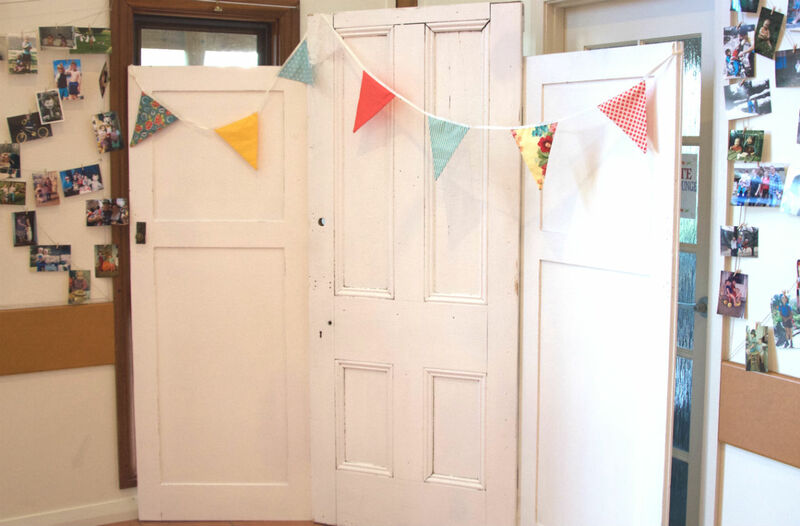 The photo booth background was set up as a series of three doors that were also painted a rustic white to match the dessert table. With handmade bunting strung across it, there was an array of personal photos of family and friends from both the bride and the groom hung on both sides for the guests to enjoy and reminisce over! 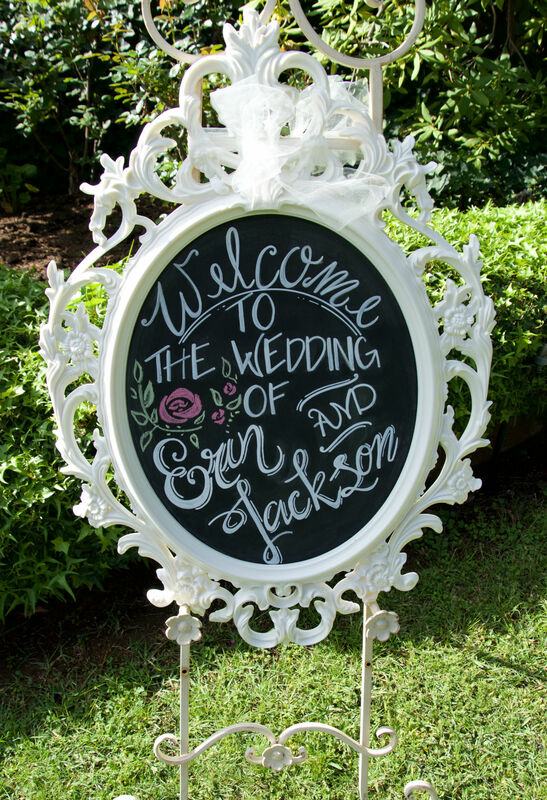 All in all, the wedding of Jack and Erin was a beautiful affair, and the stunning venues chosen tied in very well together with the country styling and wildflower focus. 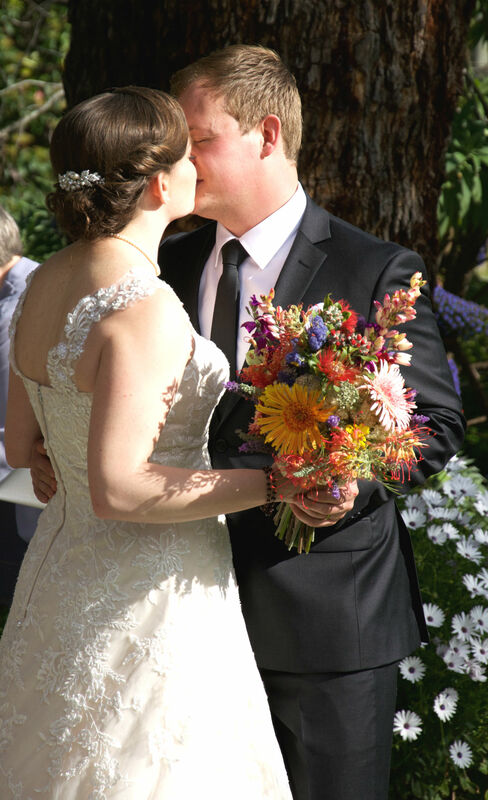 The ceremony and reception honestly felt like an extension for the bride and groom’s own upbringings, passion in life and general style. With all of the handmade elements, it gave the whole event a charming and whimsical feel and it was an absolute delight to attend!